Have you ever experienced a breeze in a closed room? A brush on the cheek when no one is there? A whisper that sounds like the voice of someone who has passed away? Perhaps it is coincidence or perhaps it is the beginning of spirit communication. 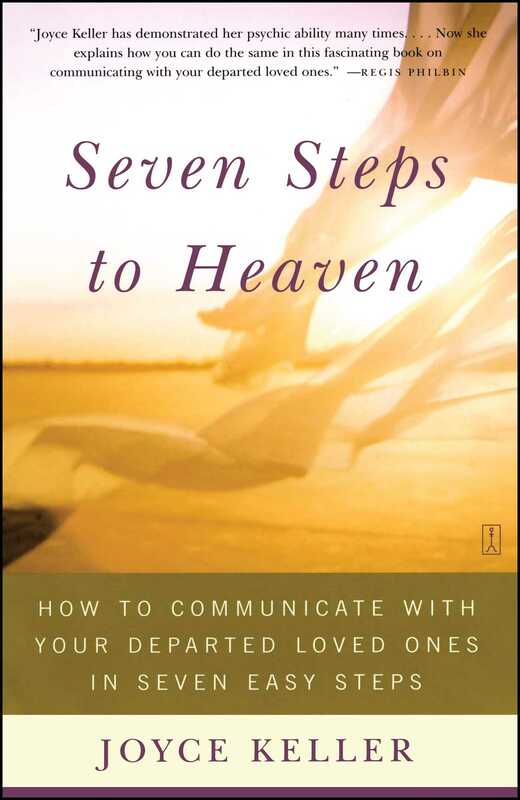 Seven Steps to Heaven offers comfort and hope to everyone who has experienced the profound loneliness and sadness that comes with the death of a family member, a dear friend, or a pet. he kindly stopped for me. Who among us hasn't lost a loved one? What would we give for just one more conversation, one more joke, one more shared secret? One more chance to apologize or explain what was really in our heart and mind? Well, I understand. In my many years of taking calls on radio and TV, the most frequent request is always for spirit contact and communication. Every other week it seems at least one book on spirit validity has appeared on the New York Times bestseller list. Nearly all of us are yearning for someone we've loved and lost who has passed away. In this book, I will lead you through my Connection Technique, which encompasses seven steps to safely make spirit communication possible and enjoyable. This system is the result of years of refining techniques that work well for people practicing spirit communication. I have combined these with my own methods, which I will share with you here. Most people in our society believe that some magical and totally mysterious transformation occurs when we pass over. Spirit contact is much easier if it is not so glorified and mystified. It's a natural part of life! Seven Steps to Heaven is a concise, fun, easy-to-follow (did we say uplifting?) guide on how to contact those you've loved and lost. I have been developing this Connection Technique over the last thirty years. I have used it successfully on my own radio and TV shows, as well as on The Oprah Winfrey Show, Live with Regis, Sally Jessy Raphael, Geraldo, Entertainment Tonight, FOX TV, and other shows. It is, I believe, the first time you will see anything like this in print or in practice. Here's the breaking news: You don't need to enlist the services of an expensive, and possibly fraudulent, go-between to connect with your departed loved ones. For those who prefer not to spend endless hours, not to mention unlimited money, hunting for psychics, gurus, and the like, I give you dependable and tested techniques for putting the art of spirit communication into practice. You can use these tools to equip yourself for contact with the departed. Best of all, you can make the desired contact yourself, safely and easily. I hope that this book will give you the tools to get started and lead you to discover how after-death communication can benefit you. Most of all, I hope you will be inspired by Seven Steps to Heaven. Let's Begin with a Smile, Okay? I know that many of you who read this book are dealing with tremendous feelings of sadness and loss. I truly sympathize with you. I sincerely hope that this book will help alleviate your pain. I pray that you will be in less emotional distress. But before you finish this book, I want you to laugh, because laughter is one of the most powerful life forces and it connects us to the highest energy in the universe. Why Does Spirit Communication Seem Difficult? Spirit communication seems difficult because most people don't know the rules. Native Americans and many other groups of people find spirit communication as natural, safe, and easy as breathing. For them, there is nothing to debate, since it is a natural part of life. In our society, spirit communication is shrouded in fear, so no one tells us how to go about doing it. What we don't understand, see, or touch with a feeling of familiarity and comfort, we are inclined to fear. Frightening movies and ghost stories have fueled feelings of fearing the unknown and unseen. However, what we understand and bring out into the light of day we no longer fear. In this book, you will learn how to safely align your energies so that your vibrations are compatible with the spirit world. Connection will feel natural. Another reason spirit connection seems difficult is that people in our society are taught from an early age that spirit communication is ridiculous, impossible, or that it is dangerous and not to be encouraged. At a very early age, we learn to ignore spirit messages, dreams, and impulses. Individuals are considered to be unintelligent, gullible, or worse yet, insane, if they claim to communicate with those who have passed on. Yet in other countries -- such as Brazil, Russia, and China -- people encourage and work with intuitively talented children and adults. There is no question that some societies view psychic individuals as having a below-average IQ. Why can't people be intuitive and intelligent? Given the choice between being considered crazy or considered not too bright, people don't talk about or encourage intuitive talents. No wonder we stifle the desire to connect. As if all of this is not enough to turn off mediumistic talents, certain religious schools punish children who have psychic abilities. Some Western religions even pound home the message that spirit contact is "demonic." Yet nothing is more healing or divinely transcendent to the spirit of humans who have lost loved ones than the experience of reconnection. This thinking is not within the capability of some Western religions. Some claim that it is against the laws of God to believe in or to participate in after-death communication. Some religions perceive psychic mediums who connect grieving people with their departed loved ones as threats. But, really, what stops organized religion from doing the same thing? Truly, mass media has not always contributed to our feelings of comfort and security about spirit interaction either. On the bright side, movies like Ghost and The Sixth Sense have helped turn the tide and have shown that spirit contact can be therapeutic and safe. Most of the frightening movies, articles, speakers, and books that tout the negative side of spirit communication are not truly authentic and are made for sensational shock appeal, or as a means of increasing the naysayers' power. Fortunately, things are changing for the better in this society. Our level of consciousness and awareness is increasing. Finally, some of us think that only psychically "gifted" people connect with the spirit world. It may seem crazy or impossible for ordinary people to experience connection. I assure you, it isn't. The truth is that half of what is required to contact departed loved ones is simply the desire to do so. The remaining half consists of gaining expertise through methods like those offered in this book. Don't Cast Pearls Before Swine! You may not want to share your desire for spirit communication with people who ridicule you or who attempt to limit you with their own limitations. Don't be victimized by the fears of others. If people snicker or put you down, keep your desire for spirit communication to yourself. Each night before going to sleep, open up your heart, mind, and spirit to God, the universe, your spirit teachers, your spirit loved ones...whatever is comfortable to you. Ask for proof. Ask for signs. There's nothing wrong with that. Each day, pay attention to the little things that you might have previously missed. Look for signs that indicate that you are in successful communication with the spirit world. Look for small things that might contain messages. Throughout the day, whenever you think about it, take a deep breath, send out vibrations, and ask for spirit guidance, signs, or something that will prove to you that there is life after death. No matter what other people say, nothing is stronger proof than when you experience it yourself -- and you will! Now let's clear up some other misconceptions. but actually death is only a change in matter and form. What Is the Difference Between Psychics and Mediums? A psychic is one who has extrasensory perception (ESP) that enables him or her to feel, sense, smell, see, or hear that which is not apparent to the five physical senses. This information may relate to the past, present, or future of you or persons close to you. Perceiving information about the future is called precognition. Some psychics can "read" impressions left on things (psychometry) or in places, such as crime scenes or in haunted areas. Some psychics or "sensitives," as they are also called, use dowsing rods to find things, like underground water or mineral deposits. A genuine and developed psychic is able to tap into your past, present, or future with a high degree of accuracy, but will not necessarily put you in contact with your departed loved ones. On the other hand, a medium is a psychic person who is able to connect human beings (or so-called "living" people) with nonphysical (or so-called "dead") entities. Mediums, or channelers as they are also known, can contact those in spirit and transmit messages and information from the other side of the veil (see below). Some mediums pass along what is said or shown to them. Others, called trance mediums or trance channelers, go into an altered state of consciousness and do not alter what is being said. Trance mediums can put their consciousness temporarily aside and, like a telephone, allow the nonphysical entity to speak through them. Not all psychics are mediums, but all mediums are psychic. The veil is an invisible barrier that separates the seen and unseen worlds. The permeability of this veil is directly affected by thought patterns, will, and belief. This so-called veil separating the human realm from the spirit world is growing thinner as the vibratory rate of our planet is being raised. This vibratory rate rises as mankind evolves and grows in spiritual understanding, for everything is basically energy. The dense, physical or material state is due to a very low frequency of energy vibration. If we raise our frequency, we more easily perceive the existence of higher vibratory rates, such as that of nonphysical beings. A primary way of raising our frequency is through meditation and prayer. When this happens, spirit communication becomes easier. Have you noticed how many psychic mediums are around? They're everywhere! Are they all genuine? Probably not all, and all your discrimination must be used to avoid being taken in by phonies. However, from my experience, there definitely are those who can contact and exchange messages with those in the nonphysical realm. One thing is certain, though: There has never been a greater interest or involvement in the subject of spirit work as there is now. This is good, because it will be easier for you as familiarity and acceptance of this field grows with people in general. We are only human and, therefore, are very much influenced by acceptance or resistance by others. There is also increasingly less resistance from organized religions as more and more people seek to reconnect with their departed loved ones. Positive energy and support from fellow human beings contributes to the thinning of the veil. When there is less resistance from nonbelievers and organized religion, fear decreases. As the fear factor declines, the spirit world is much more accessible to all those who reach out for spirit communication. Most important of all is love. Love transcends fear and negativity. Your departed loved ones and spirit teachers lovingly and patiently wait for any contact with us. Universal laws are stringent and ensure that human beings are protected and not frightened, which is why much spirit contact occurs while we are sleeping. Why oppose spirit connection, which when used with discrimination and pure intent, heals, regenerates the spirit, and mends a broken heart? Can I Use This Technique to Contact Departed Pets? Yes, you can. Most people have a great desire to contact their beloved, loyal pets after their demise, just as we wish to communicate with the humans we have loved and lost. This technique can be used to communicate with animals as well as with people. You can safely and easily begin connection yourself. As I said before, you don't have to go to a psychic, medium, tarot reader, or anyone else. All it takes is a few simple steps, a willingness, and the intent. Realize that communication may not happen with your first attempt. As with any worthwhile endeavor, success increases with the level of time, effort, and dedication invested. In Part II, the Seven Steps are presented so that they are as easy and effective as possible to use. Put them to work for you, using that which fits your belief system, and you will experience success. Good luck! One thing is for sure: As you venture into the world of spirit communication, you will never see things quite the same way. The following are intended as preliminary steps to opening the channels of communication not only with your departed loves, but also with your angels. As you will see, angels are an important step in the process. Angels are wonderful. They give us hope. They are waiting to be called upon. Amazingly, just about everyone believes in them. According to a recent poll on Entertainment Tonight, more than 90 percent of the population trusts in the existence of angels. Best of all, believing in them doesn't offend anyone. Angels will help just about anyone who requests their help. Their help, however, can be so subtle that we can miss it. In the Seven Steps I'll explain the ways we can communicate with angels so that your loved ones' messages are understood. Sometimes the communication from the unseen world can be very delicate and almost impossible to discern. Angels and departed loved ones are all around us, and are waiting to help. Their service to mankind helps them grow in God's kingdom. They do, however, almost always have to be asked for help, and they have to be shown appreciation. We have to know and understand their rules. Always ask as clearly as possible what you would like God and his angels to do for you. All prayers and requests are heard and evaluated, believe it or not! When we would like them to help us and they don't, it means that they have to step back to allow us to experience a certain lesson. Angels are supportive, interactive beings of light and energy. Angels hear our prayers, but cannot respond without the go-ahead from the highest power, from God. If you want to see or communicate with angels for help with contacting departed loved ones, you have to keep asking. When your soul's growth allows it, it will happen. There are many ways of reaching angels, and through them, loved ones. Of course, many of us have seen angels in times of crisis, emergency, or before the death experience. However, contacting spirit helpers while we are not in an emergency situation requires a bit more practice and effort. Will You Settle for a Breeze in a Closed Room? First of all, recognize the extremely high energy of angels. Angels are pure, high, electrical energy and have never been in a physical body. Spirit loved ones, of course, have been in a physical body and have a more hands-on, practical understanding of what you are requesting. The angels, however, are much more powerful and have virtual free reign over what they can and can't do for us...again, all in keeping with the higher plan for each person. All prayers and requests are received by angels, and are presented to the Creator for consideration. Angels, do, however, make their presence known to us, usually in the most subtle of ways (unless it is an emergency). Angels or loved ones can make contact with a gentle breeze, or a brushing of air against the cheek, or one of their favorite ways -- license plates! Yes, the most subtle messages are often delivered when we least expect it, such as on license plates while we're waiting for a traffic light. Once a message on a license plate appeared for me when I had a particularly difficult decision to make. As I was waiting for the light to change I saw in front of me: GOFERIT. Messages also appear on billboards, and even in lotto numbers. If they look like your lucky numbers, recognize it, spend a dollar, and maybe you'll get lucky! Of course, I know you are looking for concrete proof of communication. You don't want to hear about possible winning numbers, ripples in a pond, or leaves rustling when there is no breeze...or even an impression or outline left on a bed or a chair when you know that no one has been there. You don't want to hear about a tickling sensation on the skin, hair standing straight up, or gooseflesh. Or you don't want to hear about fragrances, like roses, that can't be explained. What about a feeling of joy and euphoria that sweeps over you for no reason at all? What about animals or birds that come up to you and convey loving thoughts or messages? What about gifts from Spirit like a hankie, a feather, a beautiful stone, or a piece of jewelry, which seems to have mysteriously appeared? That's all fine, but you want more, right? You want solid spirit communication. Okay. In Part II, the Seven Steps will teach you how to achieve just that. As I'm sure you know, there are spirit entities in the universe that are downright malevolent. There are others that are playful and not necessarily harmful. They are probably just bored because they have not yet gone into God's highest light. In other words, they are temporarily stuck by their own desire to stay close to the physical plane instead of proceeding to a higher vibration where they can advance their development. These are usually spirits who like to play games. They love Ouija boards, because it gives them an avenue of expression, and alleviates their boredom. That is why we must always ask God, or the highest forces of good in the universe, to bring us only the highest and purest spirit energy. You don't want to be involved with spirits who are of low vibration. They are the ones who may be looking for an opportunity to swoop into a person's consciousness and create havoc. This interference can be in the form of encouraging humans to be involved in negative actions, words, or thoughts. These psychic bugs latch onto a physical being and influence behavior and thought. They are responsible for much in the world that is distressing, and can easily influence us when we are vulnerable. We are especially vulnerable to this form of spirit influence when we are tired, inebriated, weak, depressed, or under the influence of mind-altering drugs. Unless you are an experienced medium, I strongly advise against the use of Ouija boards. Using a Ouija board is very much like having a big party, throwing open your front door, and allowing anyone to enter who wishes to join in. Unwittingly, you may invite in a dangerous spirit. If we were "open" and able to see, hear, and receive all that is happening in the spirit world, we would probably go insane in a very short period of time. The separation between the physical and nonphysical is, for the most part, very busy, noisy, crowded, and often very loud. To say it's very much like Times Square on New Year's Eve at midnight is not far from the truth. That is why each of us in a physical body has a protective force known in the spirit world as a doorkeeper. It is up to that entity to protect us, and to not allow us to have any spirit contact that would be frightening or damaging to us. Our auric shield, aura, or energy field, which extends out from each of us for about a foot or so, also protects and insulates us. However, our doorkeeper and auric shield are not invincible. When we use alcohol, drugs, or anything that is mind-altering, our auric shield is easily torn and penetrated. Unfortunately, I have had a few out-of-body experiences that were less than joyful. I've astrally projected during my sleep state to rather distressing places, such as prisoner-of-war camps. I went there, though, of my own accord, and prepared myself for the inherent difficulties. In the following chapters I will teach you how to protect yourself, and how your angels and spirit guides also protect you so that you do not experience anything negative or anything for which you don't expressly give permission. I do have some caveats before you begin. Your energy has to be as pure and as high as possible to avoid attracting lower entities, psychic bugs, or attachments. The following steps will raise and purify your energy so as to create a hospitable environment for positive spirit communication. Burn Indian smudge and sandalwood incense. Wave the burning smudge particularly in the corners of the room where spirit entities love to gather. Corners of rooms are psychically powerful because this configuration allows energy to become concentrated. You may also spray holy water or Florida water around the room, particularly in the corners. Get rid of clutter. In addition to being physically confusing, clutter confuses the mental and spiritual states as well. Have a big glass of water nearby. Water is the universal purifier and is helpful in collecting negative energy. Change the water daily. Throw it out, and never drink it! Do not smoke or use alcohol, as this attracts a low vibration of entities. Avoid coffee and other stimulants to help you get into a relaxed, serene state. Wear white, which is the purest form of energy. Wearing white helps to strengthen your aura. Play uplifting music. Sing a cheerful song, like "You Are My Sunshine." Read and recite something sacred, such as a passage from the Bible, Torah, or Koran. From the Bible I especially recommend Psalms. When in meditation or prayer, do not cross anything on your body, like your feet, legs, arms, and hands. Crossing cuts the flow of energy that runs along the spiritual pathways of the body, called meridians. The exception to this is the yoga position known as the lotus, which I will discuss later. Have an absolutely quiet place set aside for your contact work, with no phones, light, or other interferences. Accept what happens. Ridicule of any kind, even in your own mind, weakens the bond and may cause the loved one to refrain from contact. Pay attention to subtle messages. Contact generally begins in the most gentle, barely perceptible of ways. Collect photos and memorabilia that belonged to your departed loved ones and place them nearby. Let a tape recorder run in case you wish to make vocal notes, or enter an altered state and Spirit speaks through you. You may be surprised at what you find later. You will also want to manually record any impressions or messages that you receive. Have a paper and pencil ready for this purpose. Close your eyes. Breathe deeply. Say a prayer that asks for protection from God or the highest power in the universe. State that you welcome your angels and spirit loved ones who would like to communicate with you. Ask your spirit loved ones direct questions. Ask your spirit loved ones for a heavenly tour of their realm. Stretch your arms upward, with palms up and open. Do this with a feeling of love, and ask to receive their love and support. Love is the key to spirit contact and communication. Let your desire for communication come from your heart. Surround yourself with the full armor of God's love and protection. In Part II you will learn specific centering and opening techniques to use in making contact. Time and patience will help you achieve results. If you have done this work in other lifetimes, you may surprise yourself with how quickly you receive a response. Part II will cover how to facilitate this contact in a gentle, easy, and protected way. Over the years, many of my students have had amazing connection experiences. As they have used the techniques in this book they have raised their consciousness and their vibratory levels, and with this their ability to receive, understand, and perceive messages. Some of their experiences are included in this book. Whatever happens, never forget the power of prayer. Ask to be surrounded in white light for protection. Express gratitude to God and his angels, your guides, and your doorkeeper for the assistance and support you receive. In addition to the suggestions outlined in the Seven Steps, in general any place where there is moving or still water is a prime spot for spirit contact. Also effective are natural settings like forests and glades; high places like mountains; thresholds of rooms; places where streams and bodies of water divide or come together; forks in roads; accident sites; or places where people are about to pass away into spirit, like hospitals. If you find yourself in one of these settings you may experience spontaneous connection. Spirits also love to congregate where there are joyful celebrations, singing, and laughing. They love to be where there are newborn babies. They tend to congregate in places of power like high-tension lines and power plants. Sacred places of worship always draw spirits and angels. Spirits also congregate at natural power points on the earth, like Sedona, Arizona; Lourdes in France; Machu Picchu in Peru; Mount Shasta in California; Medjugorje in Yugoslavia; and many others. Tremendous power has been built up in places such as these from ongoing interaction of angels and human beings. Finds, and shall find me unafraid. 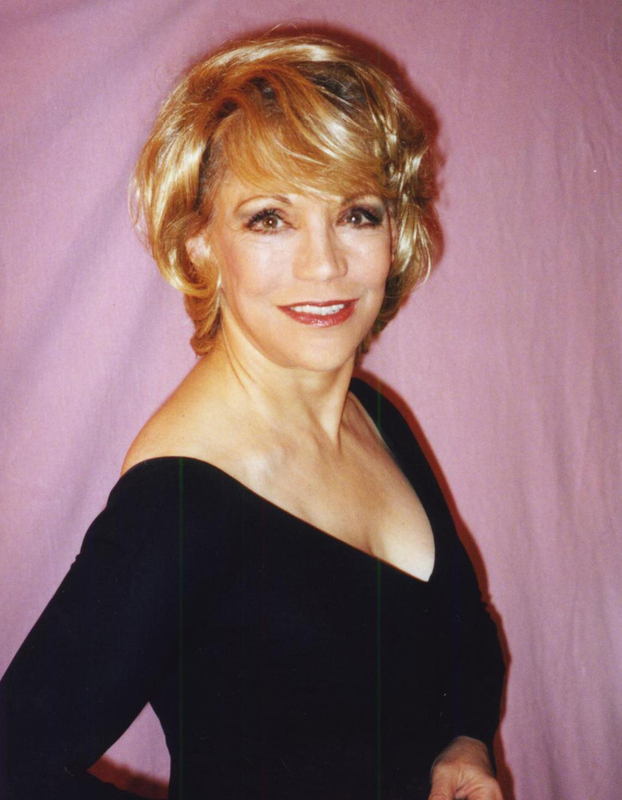 Joyce Keller, a nationally known psychic and media personality, is the host of the call-in radio program The Joyce Keller Show, broadcast since 1987 on New York's WGBB-AM and globally on the Internet. She is also the author of The Complete Book of Numerology and Calling All Angels and is the astrology columnist for Lifetime Television's website. She lives in New York City and can be reached at JoyceKeller.com. Regis Philbin Joyce Keller has demonstrated her psychic ability many times....Now she explains how you can do the same in this fascinating book on communicating with your departed loved ones. Judith Guggenheim world-renowned ADC researcher and coauthor of Hello from Heaven! At last we all have a definitive "textbook" for how to make direct contact with our deceased loved ones! Thank you, Joyce! Cynthia Sue Larson author of Aura Advantage With warmth, wit, and wisdom, Joyce Keller demonstrates how rewarding it can be to initiate a dialogue with spirits....This book will inspire you to stay in touch!